Nowadays, the microwave has become an integral part of every California kitchen. Whether you want to prepare a frozen pizza or reheat the leftovers, the handiest appliance for that is a microwave oven. 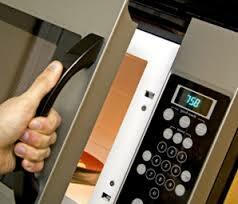 If you find yourself in need of an expert Microwave Repair Santa Clarita, it’s time to get in touch with professionals. Payless Appliance Repair Santa Clarita is here to help you resolve any issue you may have. Our factory-trained and skilled technicians will perform the same day microwave repair service with a top-notch quality! Our team is backed with the decades’ worth of hands-on experience in the appliance repair business.Our technicians are licensed and insured for any type of microwave repair. Hiring our company, you can be sure you’ll get a high-quality microwave service at a reasonable price. As customer satisfaction is vital for us,we always strive to complete every task right the first time.Whatever your needs are, you can rely on our expertise. Microwave is making strange noises. Our technicians not only are familiar with microwave oven repair, but also specialize in new installation. If you want to make sure your appliance is installed correctly, get in touch with us. We can guarantee that after our services your appliance will run flawlessly for a longer time. When searching a company to provide a Santa Clarita microwave repair or installation,turn to our team. Regardless of the brand, we will find the optimal solution for you. Call us today to learn more about our services. Payless Appliance Repair Santa Clarita, California is always at your disposal.